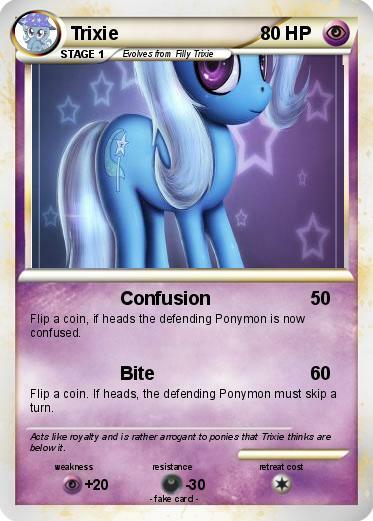 Flip a coin, if heads the defending Ponymon is now confused. Flip a coin. If heads, the defending Ponymon must skip a turn. Comments : Acts like royalty and is rather arrogant to ponies that Trixie thinks are below it.